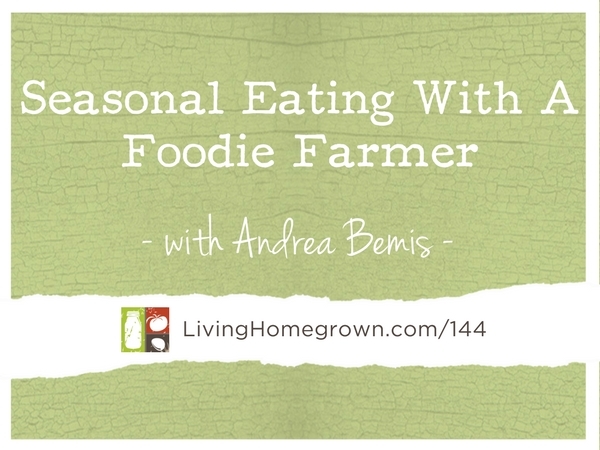 This week’s episode is a fun chat with foodie-farmer Andrea Bemis. 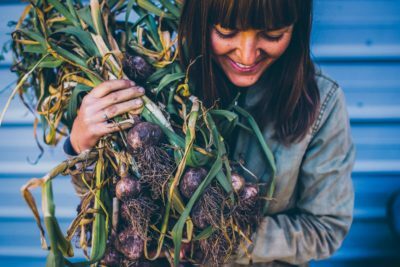 Andrea Bemis is a farmer turned foodie who truly manifests the farm-to-table lifestyle. She lives on Tumbleweed farm, a 6-acre property in Parkdale, Oregon. The farm grows food for its CSA (community supported agriculture), local restaurants, breweries, and farmers markets. Andrea shares her delicious recipe creations and adventures on her website, dishingupthedirt.com. She blogs about her and her husband’s lives as farmers, sharing meal ideas and a lighthearted look at the not-so-glamorous life of living off the land. 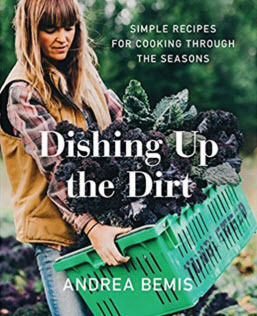 The success of Andrea’s blog led to her first cookbook, Dishing Up The Dirt (Harper Wave an imprint of HarperCollins Publishers), which was published last year. Just like life on the farm, the book is divided by seasons, with each season kicking off with an essay about life at the farm and the day to day challenges and rewards—and of course, the food the couple cooks, eats, and shares around the table with family and friends.